As a supporter of a team that yo-yos between the Championship (mainly) and the Premier League I tend to play FM with either International or Professional previous experience as this allows me to manage in FM at the level I follow. Yesterday though I watched my local team Belper Town win the Evo-Stik League Division One South play-off final and gain promotion to the Premier League - but not that Premier League. So today I've decided to start an FM save with Sunday League experience and with England (Skrill N/S) and Scotland (League 2). I intend to update this thread as the save progresses. Wish me good luck as this is not the type of save I play. I am currently managing Guiseley AFC in my current career save, starting unemployed with Sunday League experience. Read the story. I have started my first save ever like this and it's tons of fun. Just check my story to see how it's going. I wish you good luck and fun with llm. I started my save unemployed, which is what I normally do, but never with a previous experience of Sunday League before. Not sure if I'll get offered manager jobs at this level - my profile shows my reputation is obscure - so I think I'm going to have to apply for jobs. Applied for the Wycombe Wanderers vacancy. Wycombe were 23rd in League Two and I was informed my application was unsuccessful about a week before they appointed their new manager. Two vacancies in the Skrill Premier. I have applied for both the Wrexham and Forest Green Rovers manager jobs. Hoping I'll be more successful than I was with my Wycombe Wanderers application. Wrexham offered me an interview and I was happy to be given the opportunity to talk to the club. I remember Wrexham as a Football League club and would jump at the chance to take them back into the Football League. I felt the interview went well. Wrexham want to finish in the top half of the Skrill Premier this season and I said I could deliver that if appointed. I also agreed that the wage and transfer budgets should be sufficient to meet that expectation. I didn't make any other demands or put forward any philosophies for consideration. After a pleasant chat over a cappuccino Wrexham thanked me and said they'd be in touch. I've got a good vibe about Wrexham and hope I am offered the manager's job. In other news I've not heard anything from Forest Green Rovers yet. I didn't get the Wrexham job. Wrexham (16th in Skill Premier) appointed Gary Mills who has much more experience than me managing in Non-League football. Forest Green Rovers (13th in Skill Premier) appointed Paul Peschisolido as their manager so I didn't even get an interview. I like Paul - he's managed my home town club in League Two and played for the team I support in the twilight of his career. I am pleased to see him back in work even though I remain unemployed. So far I haven't been able to get an interview for a League Two job and have a 50% success rate gaining interviews in the Skrill Premier. Maybe I will have to look at Skrill North/South. Only thing I can do is keep applying. I decided against applying for the Chesterfield and Northampton Town jobs in League Two... but I have applied for the Guiseley job in the Skrill North. Guiseley are currently 14th and I have no idea where in the country Guiseley is, although I assume it is more northern than southern. I had to look up where Guiseley was because The Lions (that's the nickname of Guiseley AFC - I did some research) invited me for an interview. Guiseley is a small town in Leeds and I met chairman Phil Rogerson and director Adie Towers at their Nethermoor ground. The owner sent his apologies. The coffee wasn't up to Wrexham's standards but the interview went well and I think I could work with Phil and Adie - yes, we are on first name terms already - and I hope they feel the same way. With only Sunday League experience I didn't think I should make any demands so I agreed with everything. 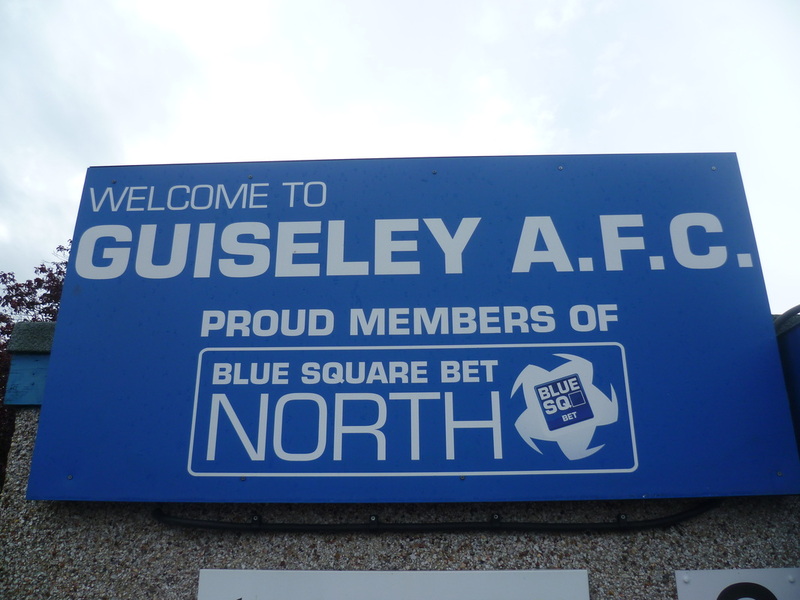 The Guiseley board want to achieve a respectable Skrill North league position this season (currently they are 14th) with a weekly wage bill of £5,635 and a transfer budget of £2,100 - the January transfer window has been open six days. I was there three hours and we spent most of that time talking football and Guiseley AFC. I was glad I'd done my research as I didn't know much about Wrexham in my previous interview. The ground is quite small, and three sides of it are open, but the club has a nice, friendly, community feel to it. Phil and Adie shook my hand firmly at the end of the interview and said they'd be in contact after they'd met with the other candidates. That's pretty much what Wrexham said too... before appointing someone else. The phone call from Guiseley AFC came four days after the interview. It was the chairman Phil Rogerson who I'd got on well with during the interview. He offered me the Guiseley AFC manager's job there and then. We negotiated a bit over the contract and finally agreed on a one-and-a-half year deal running to the end of next season. So a part-time contact of £110.00 per week until 30th June 2015. 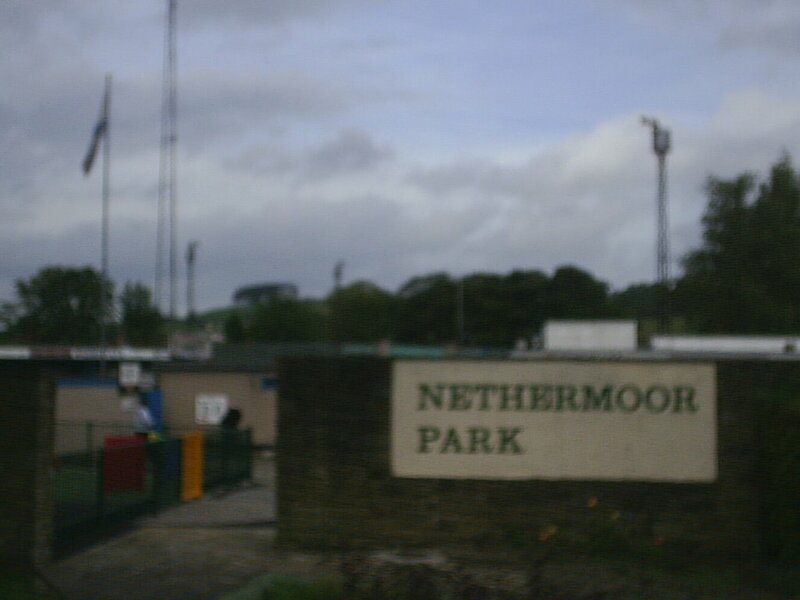 So tomorrow I'm heading back to Nethermoor Park, Guiseley, Leeds to sign the contract and start work. I was certainly given a warm welcome when I arrived at Nethermoor Park, home of Guiseley AFC, this morning. The whole day flew by in a whirlwind of activity and I can honestly say it was the busiest day I've had for a long, long time. Chairman Phil Rogerson (pictured) met me in the car park and wasted no time getting down to business. He summarised what we'd discussed at the interview and confirmed yesterday over the telephone, and then we signed the contract on my £110.00 per week part-time deal that runs to 30th June 2015. Nothing has changed, I still think Phil is someone I can work with. The Skrill North expectation is to finish in a respectable league position with a transfer budget of £2,100.00 and a wage budget of £5,635.00 per week (currently Guiseley AFC are spending £4,938.00 per week on wages). Guiseley AFC are still in the FA Trophy and my first game in charge will be a 3rd Round away tie at Hednesford Town, who are also in the Skill North division. There are no agreed philosophies and I have not made any board requests... yet. Although we haven't agreed any philosophies, I like my teams to play an attacking brand of possession football when we have the ball and to hassle and close down opponents when they have the ball. Whether it will be possible to play attacking possession football with this group of players in Skrill North remains to be seen. My preference is for 4-4-2 or 4-1-2-3. Phil introduced me to my Assistant Manager Chris Hollands before leaving us to it. Chris brought me up to speed about the squad, the current injury list (which seems quite substantial), the upcoming fixtures, and our recent games. He put the disappointing league position (14th in Skrill North) down to injuries and expressed his disappointment that the board had decided to sack my predecessor Mark Bower... before saying he looked forward to working with me. It sounded like an after thought and I wondered if he'd wanted the job himself. If he said, "If it ain't broke, don't fix it," once, he must've said it a dozen times. Then Chris introduced me to the rest of my back room staff - all three of them - Paul Butterworth my head of youth development, Martin Stringfellow my head physio, and Gavin Tait my chief scout. To be fair, there were another four staff members, who all worked with the Under-21 and Academy players, but they weren't currently here. I'd hoped to meet the players but, as this was a Friday and most of them were working, I wouldn't get to meet them until the following day at Hednesford ahead of our 3rd round FA Trophy tie. I did get to meet two of the players though as both the captain Andy Holdsworth (pictured) and vice-captain Michael Potts had turned up at Nethermoor to meet me. We had a good chat, they were both receptive to my ideas and didn't hold back about voicing opinions on how we could improve performances and results, and I liked their attitudes. If the rest of the squad had similar attitudes I felt we had a good chance of doing well. The first team squad I'd inherited had 18 players, 15 of our own and three on loan. For tomorrow's FA Trophy game, five of them were out injured and loanee Joe Colbeck was cup-tied. Clearly my biggest problem wouldn't be picking a starting 11, but finding 16 fit players to make up the squad. I asked Chris, my Assistant Manager, to run through the senior players who would be available for selection - all 12 of them - and the positions they could play and then I asked Paul, my Head of Youth Development, to tell me about the most promising youth players we had. I gave him a shortlist of six and asked him to ring them and confirm which ones were available tomorrow. Well I wouldn't really call it a Press Conference as there was only the chairman, me, and journalist Liam Butler from the Non-League Paper in attendance. I answered Liam's questions as honestly as I could but didn't give anything away as far as tactics or transfer targets were concerned. I was delighted to be the manager of Guiseley AFC, I felt the board's ambitions for the club met my own, everybody (both players and staff) would be given the opportunity to prove themselves, and I fancied our chances in the FA Trophy against Hednesford Town. I didn't tell him that I had no idea how I was going to find 16 players for the squad or that I didn't know how I was going to play my preferred 4-4-2 without a senior left midfielder available to me. I left Nethermoor Park with the DVDs of all Guiseley AFC's games this season. I intended to watch as many as I could when I got home in an attempt to find someone who could play left midfield for me in the cup-tie tomorrow. At this point, I had no idea what formation I was going to utilise tomorrow. It reminded me of my days playing Sunday League Football where the manager would write down the names of the players who had turned up and then attempt to pick a team from them. Keep it up this is an amazing story! You are reading "FM14 Career with Sunday League player experience [Guiseley AFC]".